Do you have a grill that gets a lot of use in the summer? Grilling is a great way to cook meat like steak and hot dogs or even custom hamburgers. However, there are more ways to use a grill when you want to cook a meal. 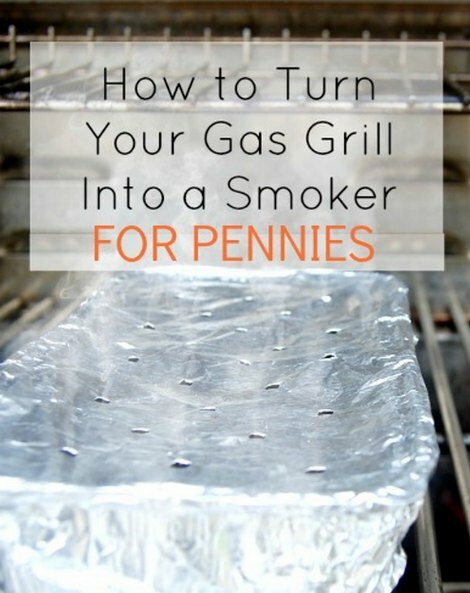 You can easily turn your gas grill into a smoker. The process to turn your gas grill into a smoker does not require any modifications to the grill. You are simply making a few adjustments to how the grill is heated. The smoke is provided by wood chips you need to prepare when you are ready to smoke some meat. A basic aluminum cake pan is all you need to turn your gas grill into a smoker. You will need to adjust the burners of your grill to supply the proper amount of heat to smoke your meats. If there is a thermostat on your grill, then you are all set.